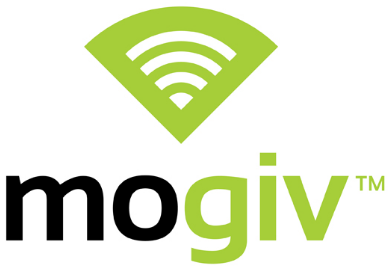 Introducing electronic giving from Mogiv! You can now give online, via email or even through mobile text messaging! It only takes a few minutes to set up a new account, and once you do, you can give anytime, in any amount from anywhere! Below are the answers to some questions frequently asked by Mogiv users. Why do we have a new giving platform? With technology advancing at such a rapid pace, more and more people use electronic forms of payment to pay for basic needs, make purchases and more. Young adults and families, especially, are turning to online banking to manage their finances, and almost exclusively use debit and credit cards versus checks and cash for most transactions. To keep up with the times, and make giving more convenient to our church family, we are excited to announce the availability of online giving for you! After a simple registration process, you can safely and securely give on our website, via email or text message right from your mobile device! Our online and mobile giving is facilitated by Mogiv, a secure giving platform used by churches around the country. They set up the technology that enables gifts in any amount, anywhere, from any device. That allows us to spend more time fulfilling the work of the Kingdom! Mogiv allows you to give in any amount above $1.00. There’s no maximum limit! To start giving online or via your mobile device, simply create a Mogiv account by visiting our online giving page. How do I get a receipt for my donation? The Mogiv system will email you a receipt for each gift that you make. You can also access a personalized, printable giving report online at anytime. All your gifts are tax deductible. How soon will the church receive my gift? Depending on your method of payment, it will take from two to seven business days for your gifts to arrive in our bank account. Funds are settled directly into our designated bank account. How much does it cost me to use the Mogiv system? The Mogiv system is free to use for givers. There are no set-up fees, and no fees charged to you when you make a gift. The church will pay a very small percentage in processing fees.